Finsbury Park Mosque is a registered UK (charity no.1136945, company no. 7229018), which works to serve the community of Islington and surrounding boroughs of North London. Aside from serving as a primary place of worship and religious services to Muslims, we work to promote understanding, dialogue and community cohesion. 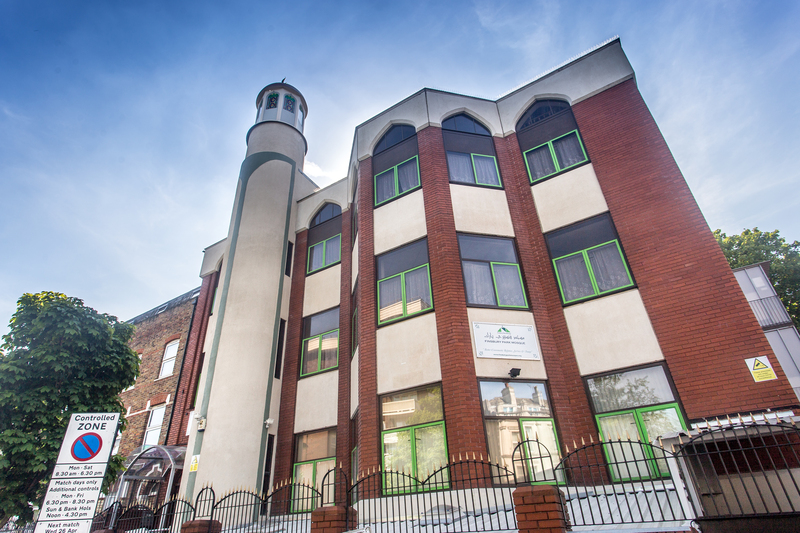 Located two minutes’ walk from Finsbury Park underground station, and close to the Emirates Football Stadium, the main 5-storey mosque complex was opened to the public in 1993, then known as North London Central Mosque, at a ceremony attended by HRH Prince Charles, the Prince of Wales. A few decades before the opening, a small room in a guest house at 7 Woodfall Road, London N4 was used as a Prayer Room and a community centre for a handful of Muslims working and living in the district then. With the passage of time, particularly through the 1960s-70s, the Muslim population in the area increased significantly. The unification of families brought to the fore the need to organise facilities for the religious education of children. On Fridays, the men would virtually upturn the guesthouse to accommodate the ever-increasing congregation for Jumu’a prayer. The place was already bursting at the seams when this small house was compulsorily acquired by the Local Authority as part of its Housing Action Plan. This forced the Muslim community to look for their own premises. 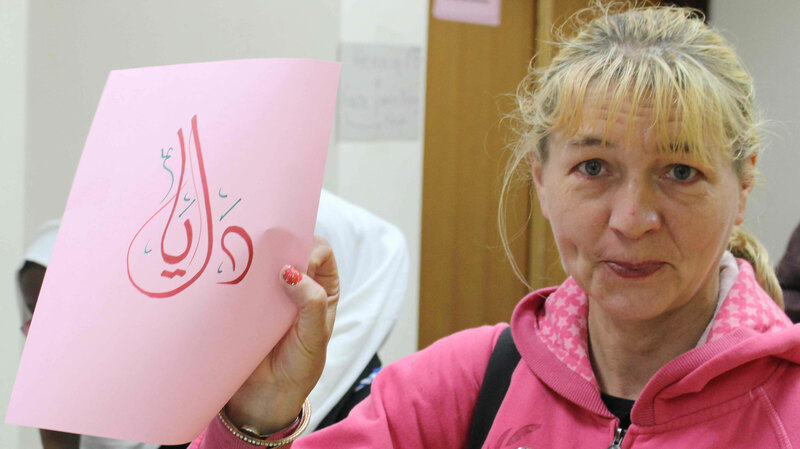 In the meantime, the community had already organised the work under the auspices of the Muslim Welfare Centre (MWC), which had been registered with the Charities Commission in 1973. In 1975, the Muslim Welfare Centre purchased its first property at St. Thomas’s Road. Here too both the congregations as well as the services provided by the MWC continued to develop and during the course of the following years, the MWC acquired the four adjacent properties. To create a conducive environment for the Muslim community in Finsbury Park and the surrounding that will allow them to worship and access community development initiatives in the areas of health, education, employment, social and cultural interaction. To help the community thrive and to build; to strengthen and sustain individual family and community life. To facilitate personal and social development of young people, by engaging them in all aspects of development, including personal, social, education, cultural, spiritual, physical, and vocational. Leafy fan mimics seasons and organic growth whilst echoing sunrise behind the white silhouette of the FPM, which in turn comfortably houses the logotype “Finsbury Park Mosque”. The people attached to the mosque are colourful and radiant, they illuminate the way for others by being exemplary citizens whilst contributing positively to society at large.